Recently widowed at a very young age, Bridget Pickwick-Buchanan is on a mission. Given the task of finding a buyer for her family’s land, she’s determined to sell only to someone with eco-friendly plans. Enter JC Dirk, an interested buyer with a mysterious past. As you would expect in a Christian chick-lit romance story, hilarity ensues when Bridget’s tree-hugging tendencies collide with JC’s progressive business plans, and just when they think they have absolutely nothing in common, they figure out they’re in love. Then, Bridget figures out who JC really is, and… well, it all works out. As you would expect. Even with a very predictable plot and some less than believable characters, I still enjoyed this book. 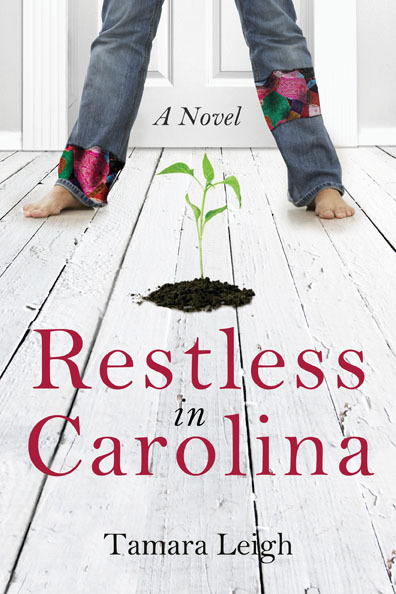 Tamara Leigh writes with humor, and the mishaps and misunderstandings in the plot, though predictable, were still fun. This is a read for a day when you just want to relax, kick back, and enjoy a light story. Many thanks to Waterbrook Multnomah Publishing for providing me with a free copy of this book to review. All opinions expressed are mine entirely.